School of Nashville Ballet is pleased to present its 2017-2018 Winter Intensive in collaboration with the Alonzo King LINES Ballet Discovery Project. School of Nashville Ballet's Ballet Workshop will kick off the week Monday, January 8 - Wednesday, January 10. Students will have the opportunity to strengthen their technique while preparing for upcoming Summer Intensive auditions and the start of the spring semester. School of Nashville Ballet welcomes the Alonzo King LINES Ballet Discovery Project Thursday, January 11 - Sunday, January 14, an exciting opportunity to explore partnering, modern, improvisation and LINES ballet repertoire. Students are encouraged to attend both sessions. Click here to learn more and to register. 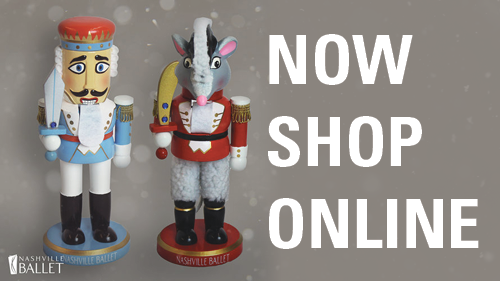 Nashville’s Nutcracker: Celebrating 10 Years!